Today I'm using different parts and pieces of several of my favorite Old Sign Stencils to create this distressed coffee sign. 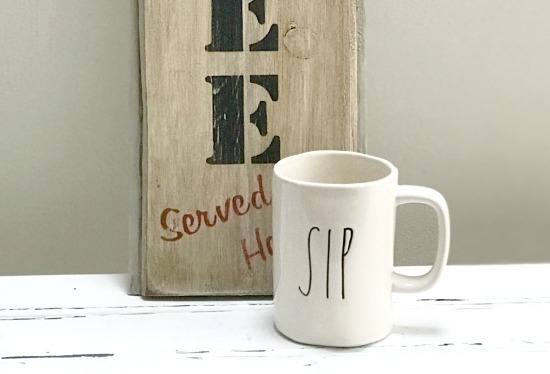 This post contains Amazon and Old Sign Stencil Affiliate links that earn me a few cents for supplies while offering the products at no additional cost to you. 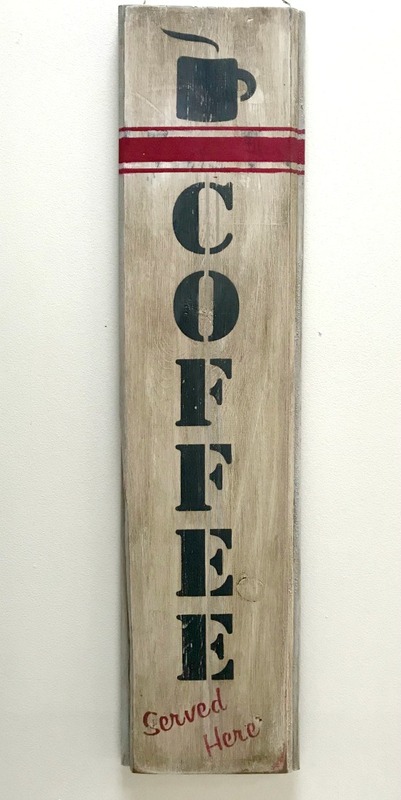 I began with a vertical length of reclaimed wood with some chips and dings down the side. 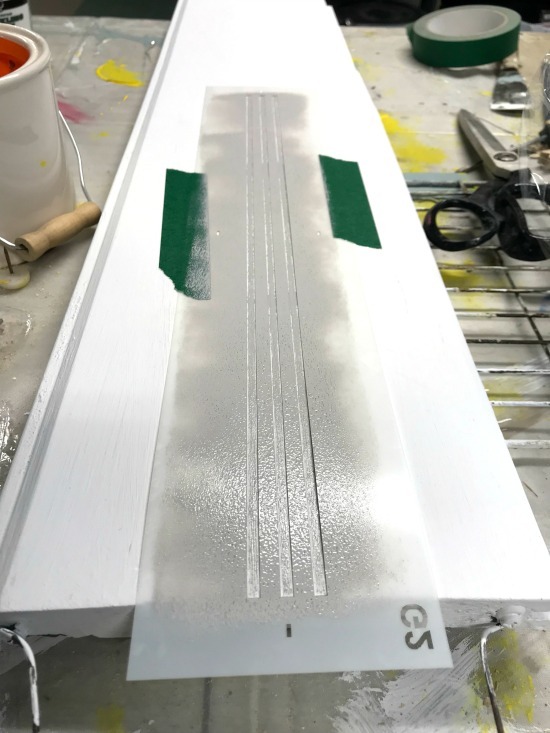 Using one of the new grain sack stencils from Old Sign Stencils I put a light grey stripe down the center of the board. See how thick and sturdy that stencil is? 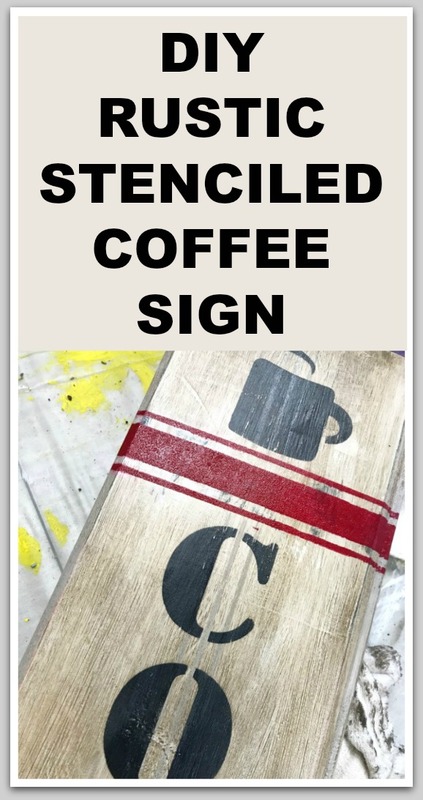 On top of that I stenciled the coffee cup from the Homestead Blend Coffee stencil. 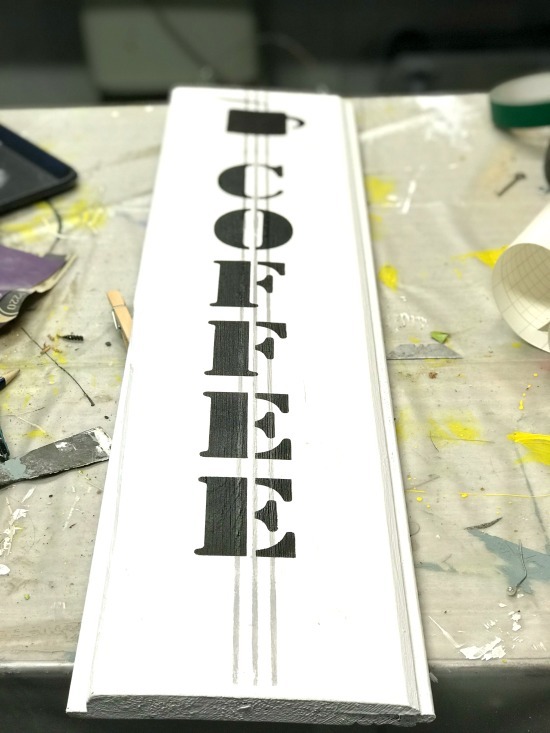 I needed the word COFFEE to be vertical and larger than the writing on the stencil so I cut one from vinyl using my Silhouette Vinyl cutter. At the bottom I added Served Here again from the Homestead Coffee stencil. Next I used the electric sander to sand down the corners and over the lettering. 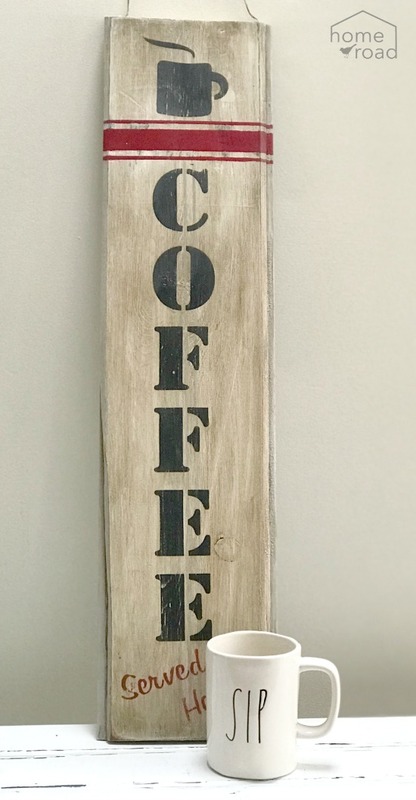 I put an antiquing glaze over the whole sign to make it look older then using another grain sack stencil added a red stripe across the top. For me the more distressed and old looking the better! These stencils are high quality, easy to clean and will last through hundreds of projects. They're a great craft investment! 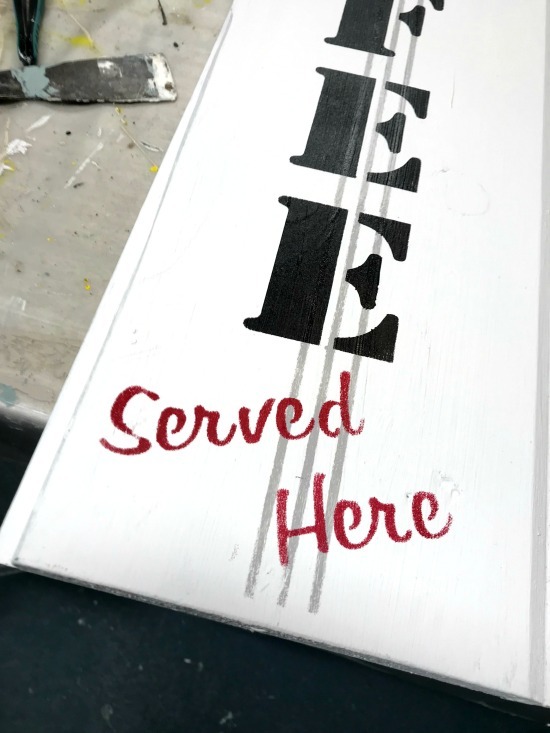 As you can see you don't need to use the whole stencil on your projects. Pick your favorite parts and add them here and there. The grain sack stencil makes a great accent on any project and it comes in several different widths and sizes. 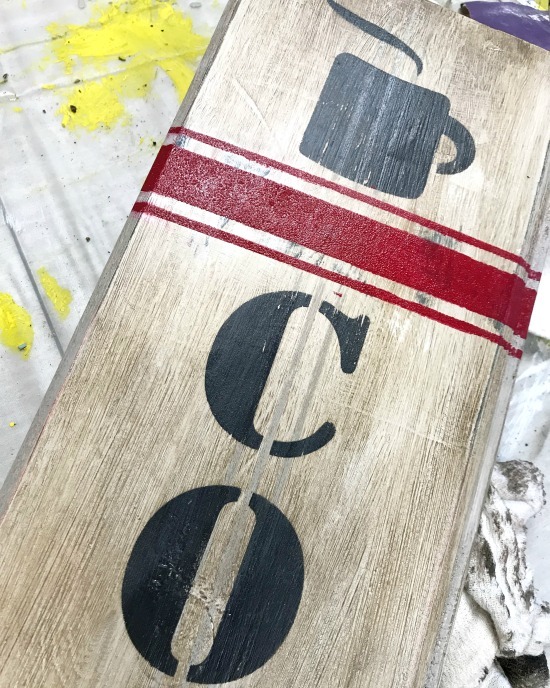 Take a peek at Funky Junk's Old Sign Stencils and think about what you can create next. The stencil prices you see on this site are in Canadian. Thank you Funky Junk Interiors for providing me with the stencils.